Hi everyone, my name is Nick Kelly and I’m an academic interested in trying to help teachers through the design of better online communities. I’ve made this site mostly in my spare time. I’m a lecturer in Interaction Design at QUT, but I’ve been working with teachers across Australia for almost a decade now. If you’ve got any ideas for how this site could be better, for content that you would like to see, or even ideas for other online things that might work to support teachers, then please do message me through this platform. My name is Anna Kinnane and I work as the Digital Strategies Project Manager at the QCT. This is my 35th year in Education, having taught in primary classrooms across the state for 22 years. I am also one of the writers of the Australian Curriculum Digital Technologies and I am excited to see the innovative and engaging ways Australian teachers are implementing this new curriculum. In my role at the QCT, I have the opportunity to work with and support teachers, school leaders and preservice teachers via a number of projects. In my spare time, I enjoy long distance running and I have recently joined a rowing crew for some fun. I love travelling, especially to Italy! 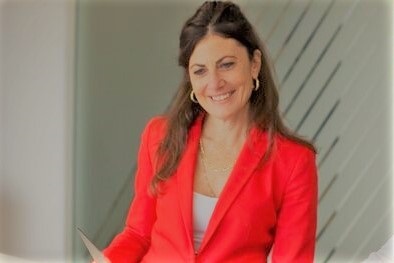 I have been involved with the TeachConnect from its early beginning and I am really looking forward to communicating with the Beginning Teachers in Qld via this platform.